Cosmology offers particle physicists a method of testing models that is complementary to accelerator experiments. Particles that cannot be produced easily in accelerators can have drastic effects in the early universe. 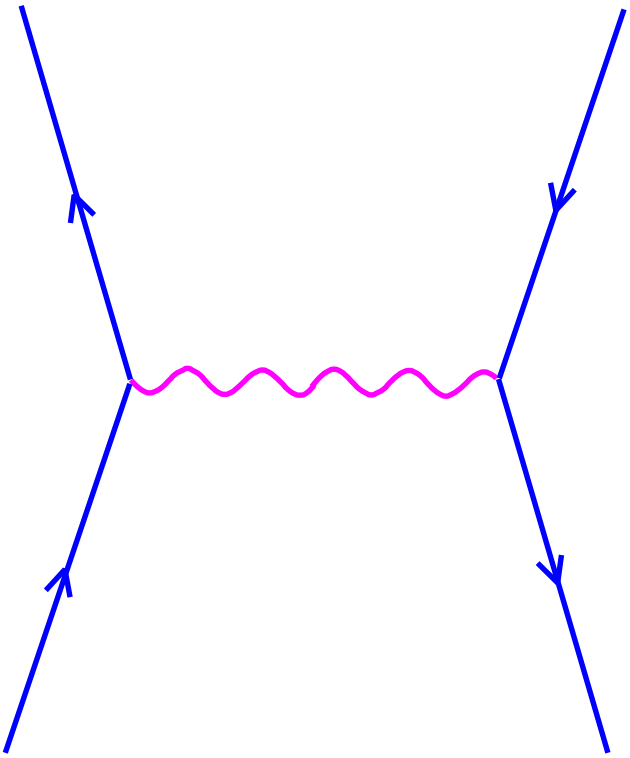 This can be seen in the new theories of gravity that involve submillimeter extra dimensions. My collaborators and I recently put severe constraints on a class of such theories. In these models, oscillations of the light field (the radion, a particular type of modulus field) that determines the size of the extra dimensions can over-close the universe. It had been proposed that a period of late inflation could solve this problem, however we found that the required inflaton scale is so low that it cannot successfully reheat the universe. We also found that in a five dimensional AdS scenario (the Randall-Sundrum model) for solving the hierarchy problem, the extra dimensional gravity can force the universe to collapse shortly after becoming matter dominated, thus such theories cannot describe our universe. We later found that when such models are stabilized by additional interactions, they are cosmologically viable and the radion must have Higgs-like interactions. We also used string theory techniques to analyze certain models where gravity is four dimensional at intermediate distances, but five dimensional at long distances. Earlier on in my career I have studied the efficiency of monopole annihilation in the early universe. Using Big Bang nucleosynthesis constraints, I have also put limits on the strength of gauge interactions of right-handed neutrinos, concentrating on gauge bosons that couple to the tau-neutrinos. I found that the mass of such a gauge boson, divided by the gauge coupling, must be larger than roughly 2 TeV for it not to contribute excessively to the expansion rate of the universe at the time of nucleosynthesis. Recently we showed that axions can explain the dimming of distant supernovae better than a cosmological constant. We also found that axions may play a role in generating trans-GZK cosmic rays. It has been argued that a dark energy equation of state parameter w<-1 may be slightly favored by the data, although no consistent theory actually has so negative a $w$. We recently showed that either the combination of dark energy and axion effects or a scalar field running up its potential can mimic w<-1.